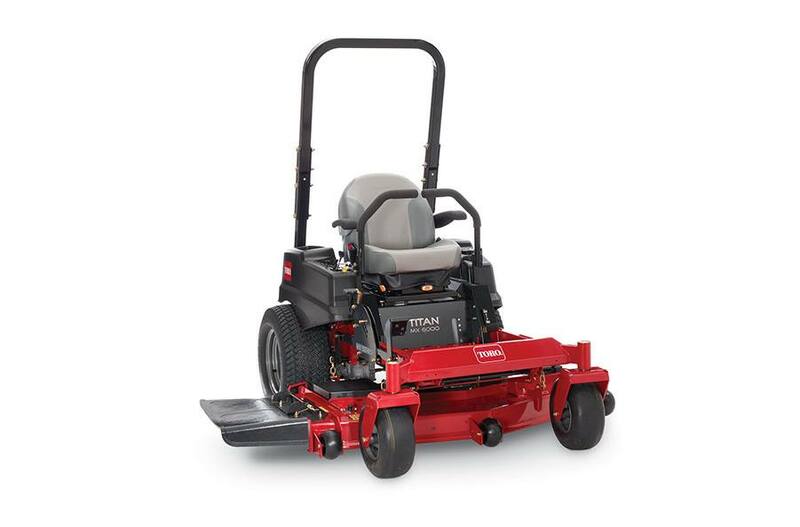 Toro 60" (152 cm) TITAN® MX6000 (74893) for sale in Columbia City, IN. More Farm Store Inc. 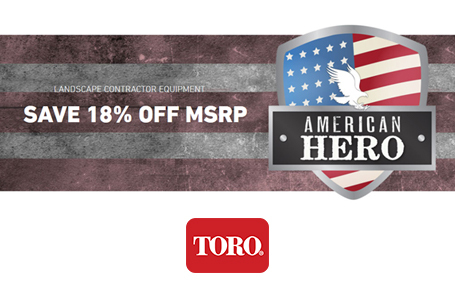 This Toro TITAN MX6000 zero turn riding mower showcases a 60" wide mowing deck with bull-nose bumper, a 25 hp Kohler® 747cc Commercial Confidant engine, and a heavy-duty frame. Built to last, AND designed for user comfort, check out the deluxe bolstered seat with adjustable floating suspension, oversized comfort grip levers and large tires. Heavy Duty Spindles: The deck used on this model is equipped with huge heavy duty 7.75" (19.7 cm) diameter aluminum spindle housings that contain 1" (2.5 cm) diameter spindle shafts and oversized sealed bearings. Increased Flotation: Wider 13" x 6.5" front tires reduce compaction on your turf while providing a comfortable ride. Deluxe Suspension Seat: This deluxe, thickly padded seat features large bolsters and 3-D isolator mounts. It's mounted on a floating, adjustable suspension system that absorbs bumps and vibrations to reduce operator fatigue. Oversized Controls: The TITAN MX features oversized comfort grip controls that help reduce hand fatique over longer periods of mowing. 4-Year/400 hour Limited Plus Lifetime Frame Warranty: We're so confident in the life of the TITAN MX, we stand behind it with one of the best warranties in the business. 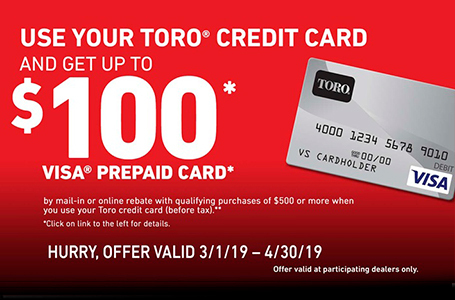 Toro backs up the materials and workmanship of the TITAN with a 4-year/400 hour limited warranty*, and the frame is guaranteed for life. The Toro brand is built on a heritage of durability, so you can count on your TITAN season after season.